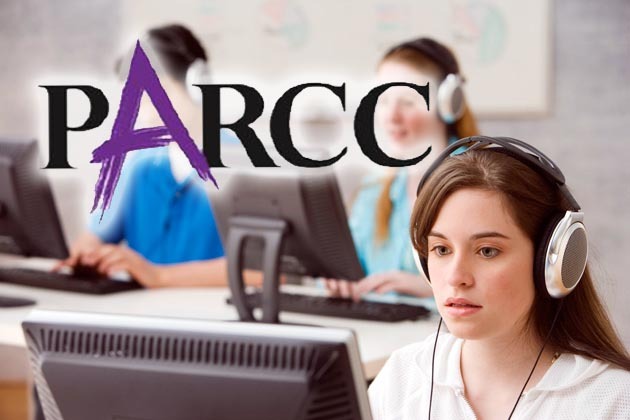 Last week our school completed their first round of PARCC testing. We were a pilot school for the new Common Core based exams last year, but the first full run proved to be quite different from the small scale practice version our AP English students undertook a year ago. Perhaps the biggest challenge we faced as a school community was not knowing exactly what to expect with PARCC. How long would testing take? Were the three days we set aside be enough? It wasn’t, we needed to go to a fourth day. Would our technology and bandwidth hold up to the increased usage? Save for a handful of login issues, it did. How would our teachers respond to the loss of instructional time? Like champions. I can’t sing our teachers praise enough for the work they put into preparing the student for PARCC. How would the students respond to the new testing format? Their reactions were mixed, but more on that later. By and large PARCC testing was not as bad as many in the building feared it would be, and as mentioned above that is largely due to the amazing work countless staff members in the building did to prepare for testing. Everyone from our teachers, counselors, department chairs, librarians, tech staff, and administrators were involved to make sure testing went as smoothly as possible. There were certainly some glitches and unforeseen circumstances, but the PARCC team handled it with poise and grace always moving forward. The real challenge was and will continue to be the students. I am aware that we have varying levels of student ability at my school and PARCC shows no discrimination. Honors, AP, college prep and remedial students all tested side by side. And to be expected when testing such a wide range of students, some students finished early while other students took the full allotted time. The problem isn’t that students finished early, but just how early the students finished. A test that may have been slated for 75 minutes saw a significant portion of students finished in less than 30 minutes. Some students wrapped up their responses in under ten minutes. What surprised me most is that there seemed to be no rhyme or reason to who finished when. Students I had expected to struggle with PARCC worked diligently until the end while some AP students barely read a passage before logging out of the exam. Our students who could have scored the highest will probably have scores that would put them below grade level standards. What can we do as educators to combat this trend? I say trend because after speaking with friends in other buildings, I know we were not an isolated case. At the elementary level and even in middle school to some degree, there is a student perception and trust that all standardized exams are important. If they weren’t important, why would my teacher be asking me to take them? But with our older high school students, they don’t seem to buy into the notion of take this test to show me what you know. In my opinion we need to do two things to help motivate our high school students to take standardized tests, PARCC or otherwise, seriously. Find the individual impact and connect the individual to the community. Just a week prior to taking the ELA and Math PARCC, our juniors participated in the state ACT testing. On this day, attendance was at an all time high and we had no significant irregularities. This is quite a feat for a junior class of over 625 students. The students were in their assigned classrooms, everyone had their calculator, pencils and ID. They were ready to test and used their time to the fullest. What made the ACT different than the PARCC? Easy, the impact that test had on them as individuals. PARCC may be testing for college and career readiness but the ACT is still THE TEST that matters most when it comes to going to college. If we want our students to take PARCC seriously, we have to find a way to make it meaningful to them on an individual level. 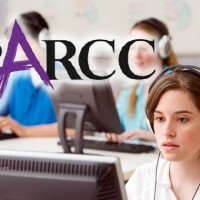 I overheard so many conversations between students and staff trying to explain why were were taking PARCC and they all seemed to end with, ‘so its like the ACT but it doesn’t count for anything?’ One way to make PARCC meaningful is for us as educators to advocate with colleges and legislators to make PARCC scores mean something to the individual student. Illinois has taken a strong first step towards making this a reality. The Illinois Council of Community College Presidents have voted to allow PARCC scores to count towards placement in credit bearing classes at the community college level. This means a students who scores high enough on PARCC can skip remedial math and english courses without taking a placement exam or having an ACT score on file. The ACT part is huge, as Illinois will likely not offer the ACT as part of state testing next year. This is a big first step, but likely does not go far enough if we are looking for a way to motivate our top students who will already have an ACT score on file, regardless of if the ACT is offered in school or not. As educators and advocates, we must continue to press colleges and legislators to make PARCC meaningful to students, whether that mean using it as a college entrance score, grant/scholarship qualifier, or some other measure. Until students have a personal stake in the game, we won’t see a true reflection of ability in the scores. The second way to increase student engagement on the PARCC is to show them the connection between them as individuals and our school as a whole. Teachers often explained that PARCC is a way for the state to judge how are school is doing at preparing students for college and career success, but there was no explanation of how that impacts them. Students need to understand and be shown that their school reflects upon them. For my students who are applying for college, they get this concept. When I ask why they are applying to a Big Ten university over the local community college or a small DIII school, the answer is clear, because of the university’s reputation. They want name recognition and they want to graduate from somewhere with prestige. We can tap into this desire by showing that the same name recognition and prestige that colleges have is active at the high school level too. You want to be proud of where you’ve graduated high school. The reputation of a high school is largely tied to their test scores. If ten years down the line you want to be proud of where you went to school, you need to take your test scores seriously now. To make it even more immediate, as you need to do with teenagers, we can explain how a high school reputation can sway college admissions counselors. A 4.0 at a school where 90% of the students are meeting or exceeding expectations means a lot more than a 4.0 at schools where less than 50% of students meet expectations. Students understand these concepts, but we must take the time to explain them. I can only hope that as PARCC rolls around next year, which it will, we as a collective group of educators can find ways to ensure that all students are engaged and prepared for the exams. We can’t spend our entire careers teaching to a test but as long as the tests are here we owe it to our students and communities to make the most of our time spent testing.